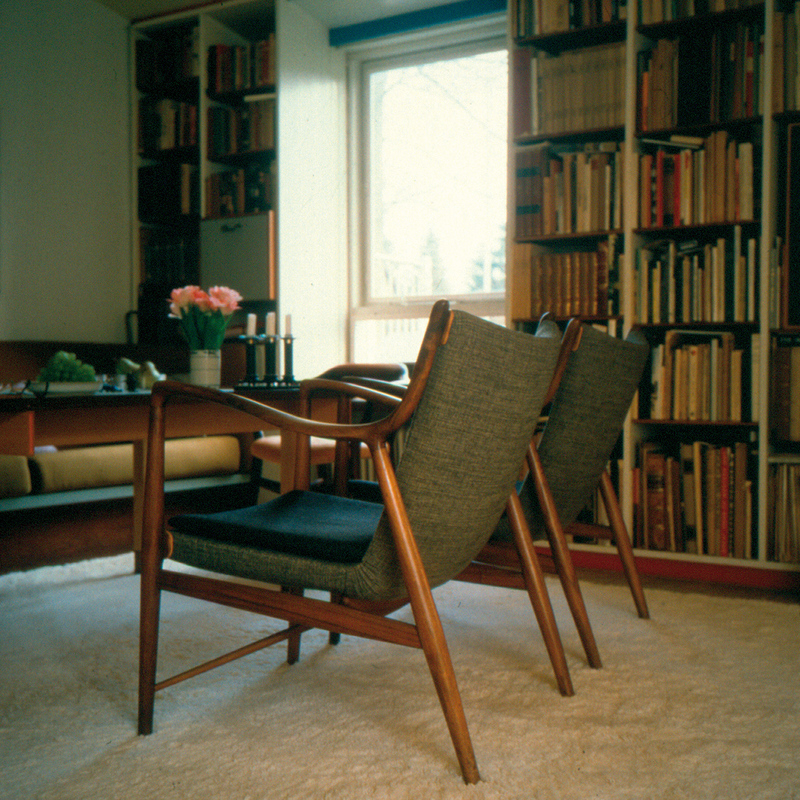 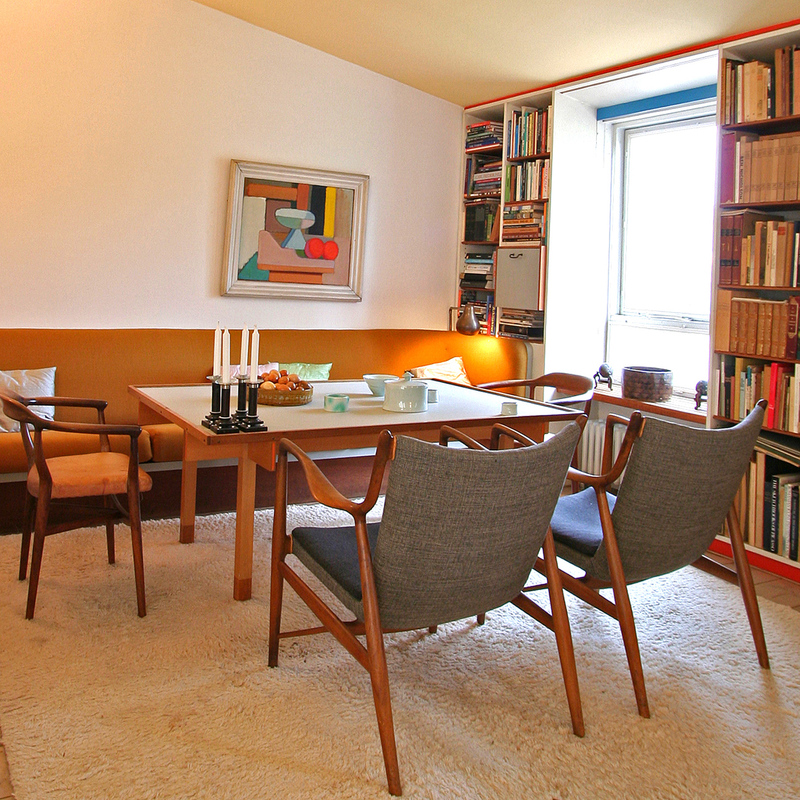 Finn Juhl was a pioneer in Danish design. 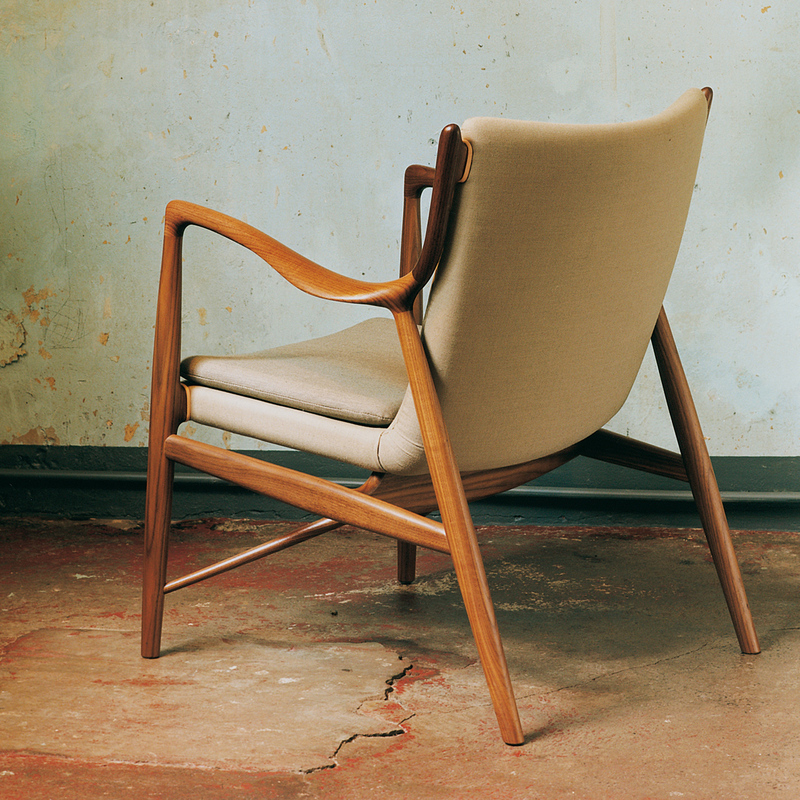 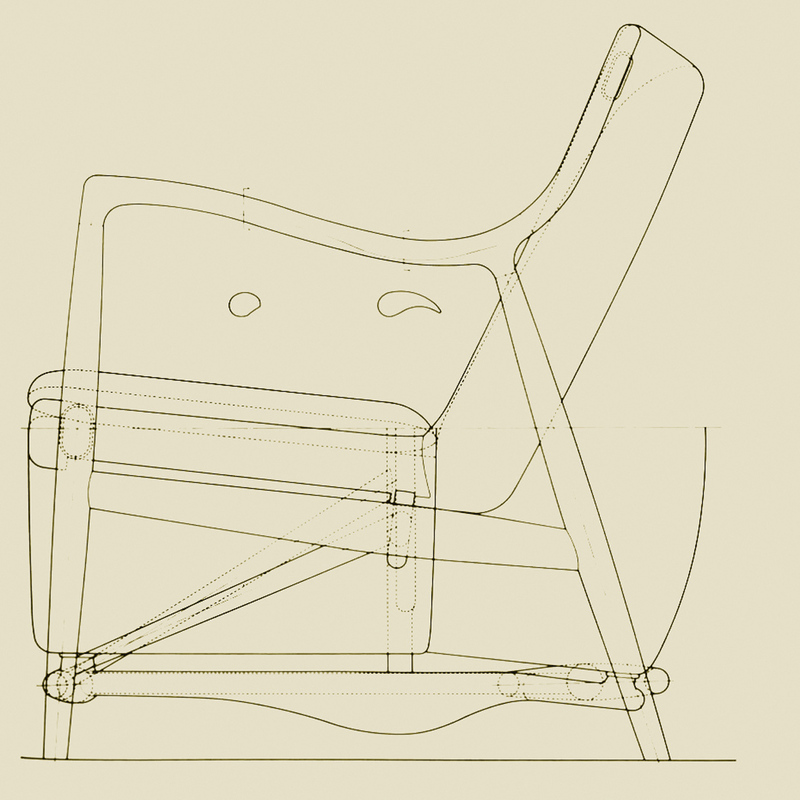 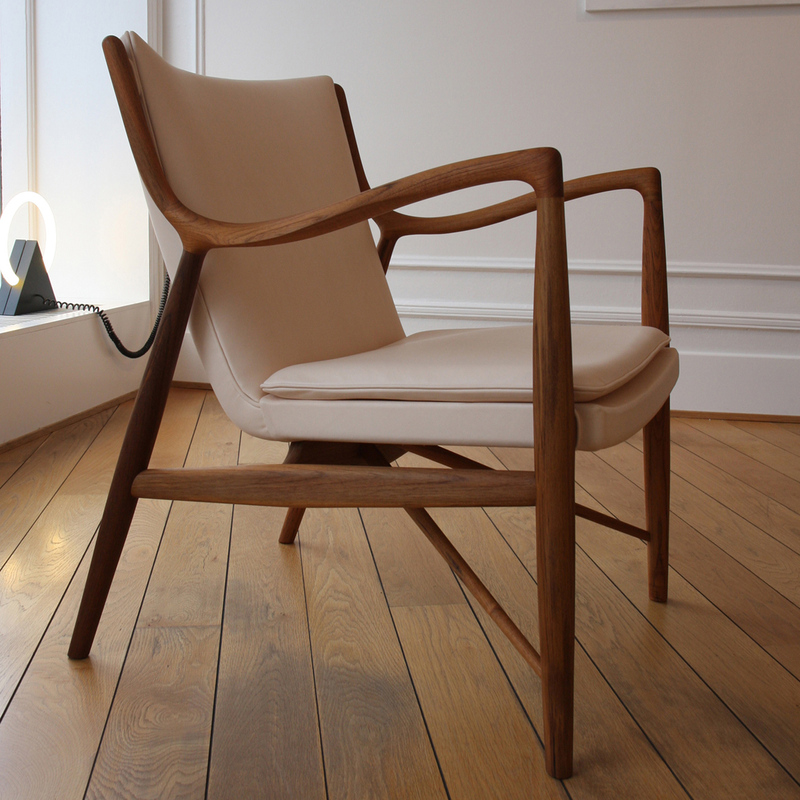 In 1945 he designed this fantastic armchair, which was one of the first to break with tradition by freeing the seat and back from the frame. 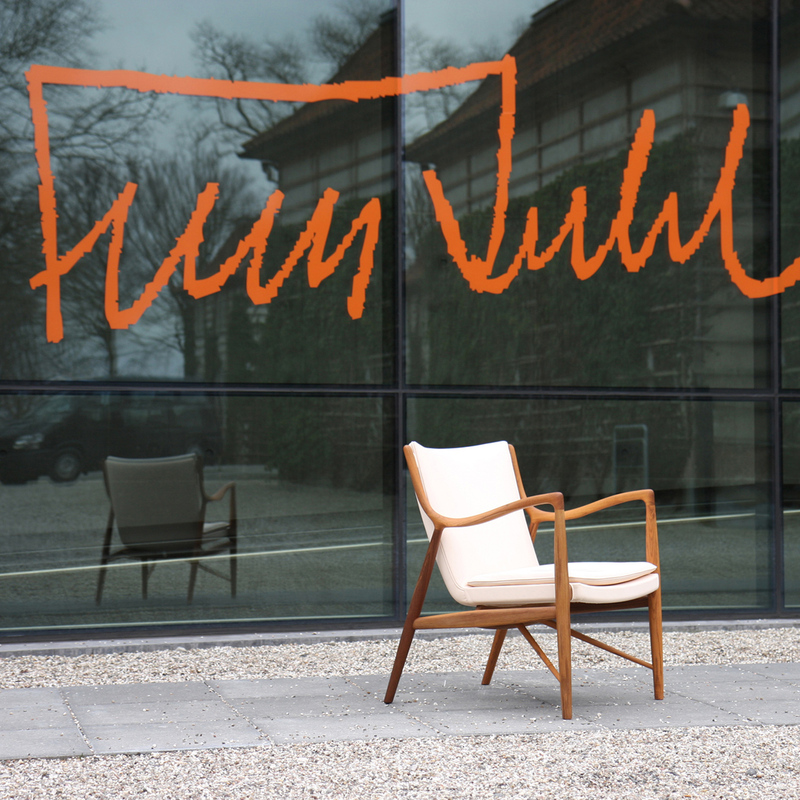 The result was an easy, elegant and tantalising expression that came to characterise Finn Juhl and make him world famous as an unrivalled designer. 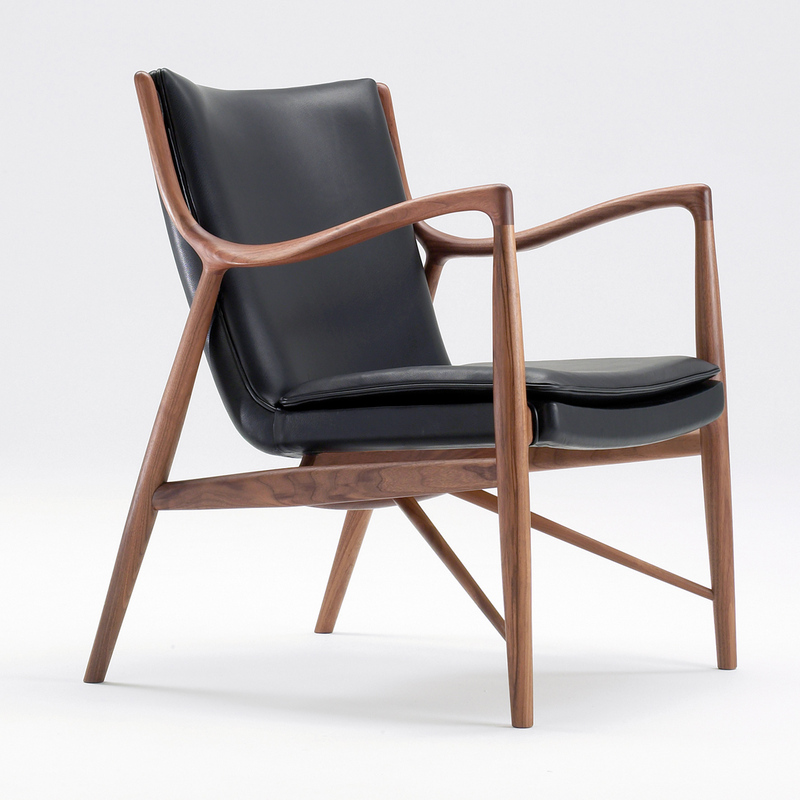 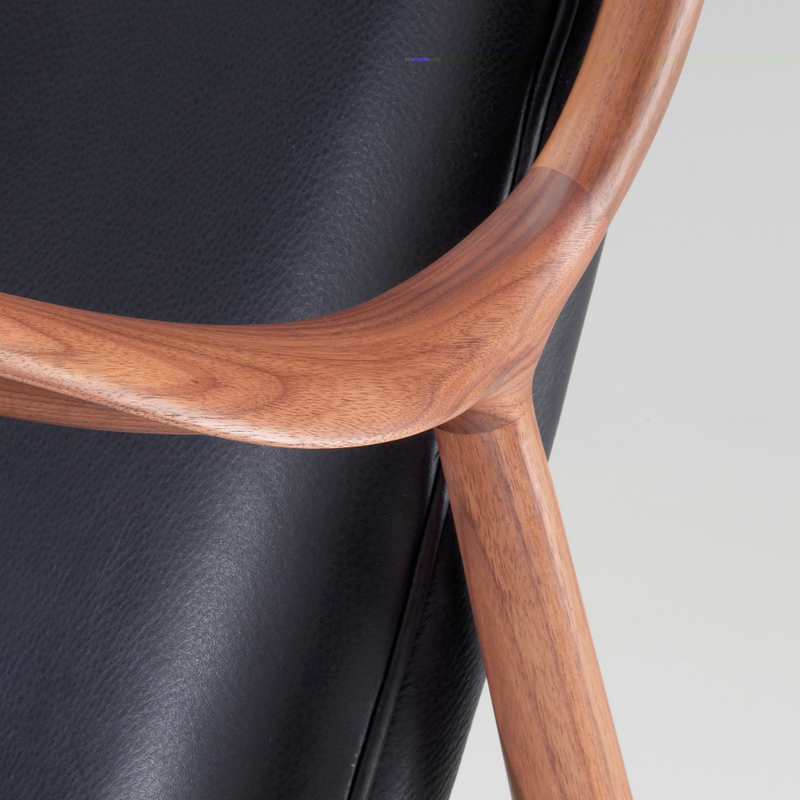 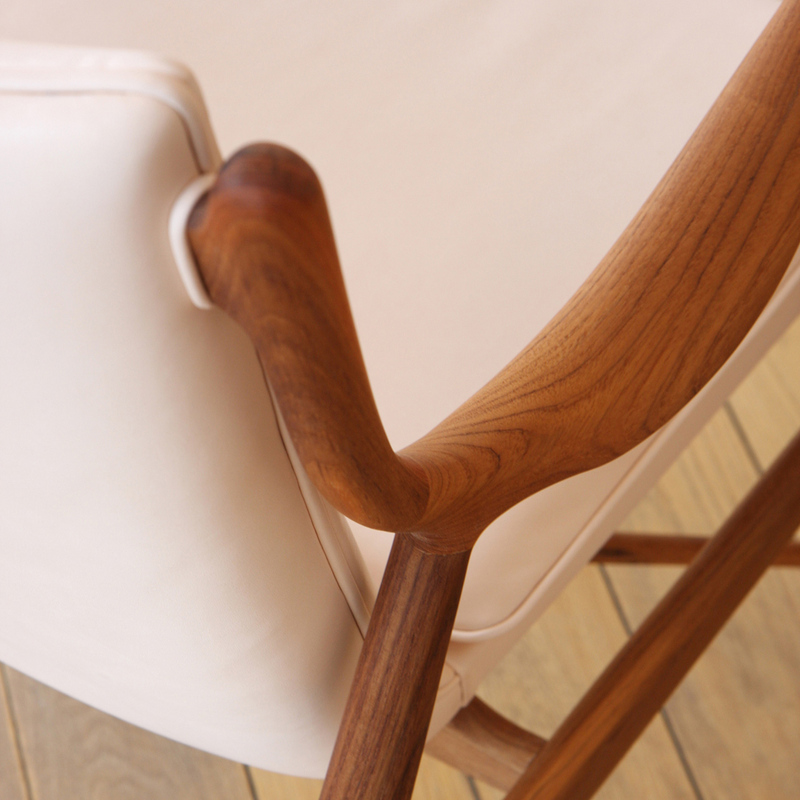 Model 45 is an example of high quality craftsmanship with carefully selected wood and upholstered with leather or fabric. 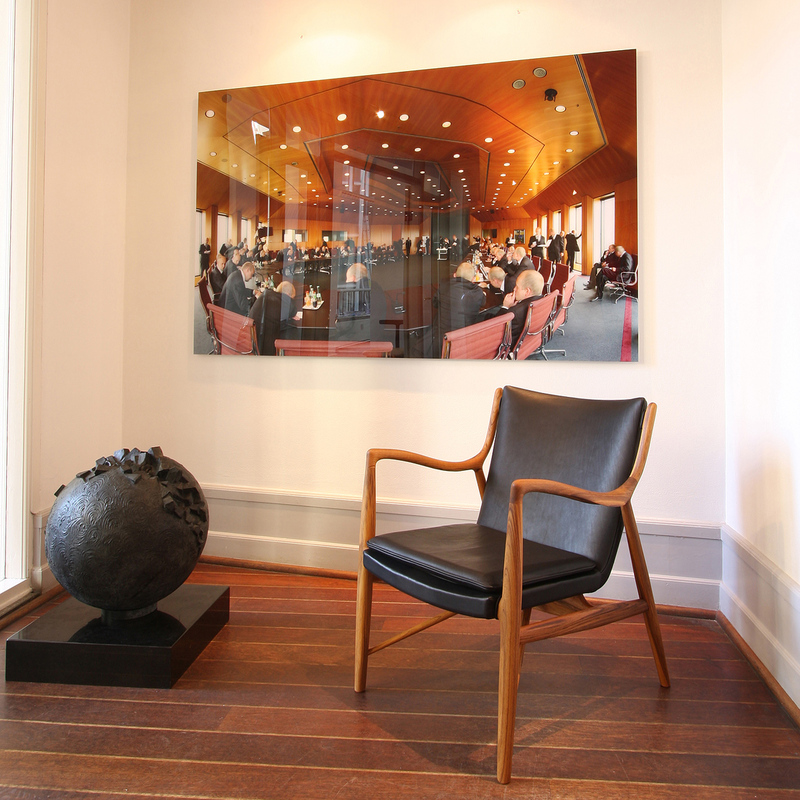 Dimensions (WxDxH): 66,5 x 73 x 88 cm. 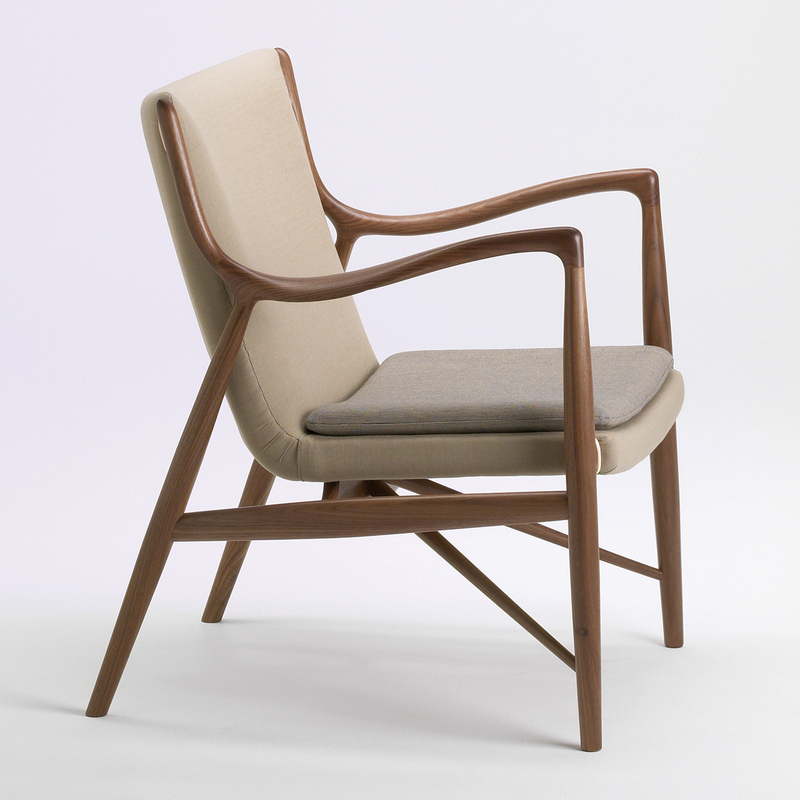 Seating height 42 cm.